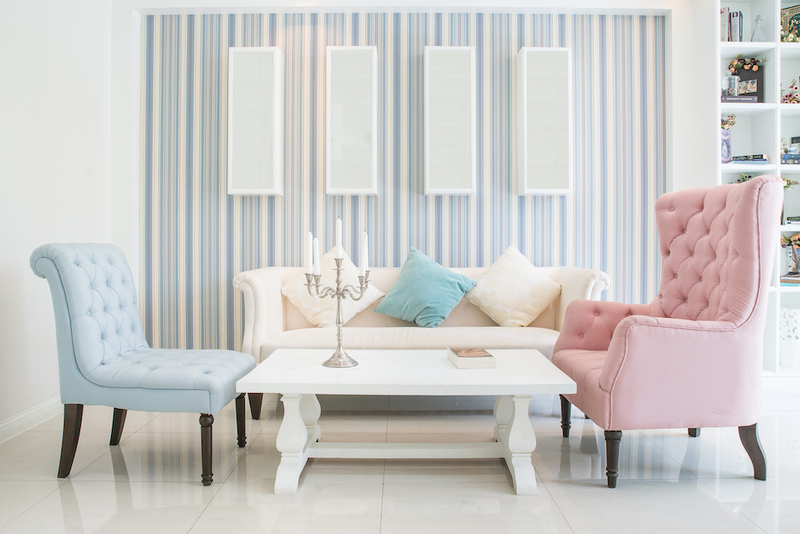 If you’re feeling like an interior design change, consider switching things up in your living room. Not everyone has the time or money for a huge renovation. In many cases, it’s not even needed. Rearranging layouts is a great, cost affordable way to freshen up a house. No torn down walls, no paint, and no huge bills required. You may still love your living room furniture, the colours, and accent pieces, but things have just grown stale after several years. The right design can make it feel more open and inviting and make it a place where people enjoy spending time. A few small changes can make your living room look brand new. However, don’t wing a living room rearrangement. Consider these steps to making your living room design breathe life back into your home. The ideal design for your living room will depend on how it’s being used. Is it a formal living room you don’t want the kids in? Or is it where everyone hangs out to catch the game? Somewhere in between? If formal is what you’re shooting for, then position the furniture facing each other with the coffee table in between. Have side tables between sofas and walkways. If kids breaking stuff isn’t an issue, put the nice stuff out on display. The closed-off design style lets people know that they’re in the living room for a reason, whether it’s for a cup of coffee or polite conversation. Things will be different if your house is the one everyone loves to come to hang out at. For less formal and more social houses, position the furniture in an L-shape or semicircle. It promotes free movement flow between rooms and lets people know that this part of the house is free to use. Nothing’s off limits. If there is an open wall between the living room and kitchen, place the furniture facing the other room, so it’s easy to swap and talk between them. Feng Shui is a design concept based on the ancient Asian practice of promoting harmony in architecture. The thinking is that abiding by certain design principles will create an atmosphere of happiness and abundance. It might seem a bit mystic to some, but some of the Feng Shui stuff really works. One of the main focuses of Feng Shui is its emphasis on light. Living rooms should be as sunny and bright as possible. Get rid of those dark shades and move things that block windows to bring in natural light. Position lamps, so the entire room is as bright as possible. Another thing to consider during a rearrangement is if your living room is in the right place according to Feng Shui. Feng Shui says that it should be in the centre of the house, or at least visible as soon as you enter the door. Layouts should be in as many right angles as possible. The couch should face either the TV or the door. Its back should never be to the door. It’s bad luck to place a mirror behind the couch. Whether or not you believe the way your couch is positioned could make you wealthier and happier, Feng Shui has some great practical layout tips. It generally encourages open design that helps collaboration, creates beauty and avoids clutter. Think about incorporating some Feng Shui into your living room rearranging. Who knows, maybe moving that mirror from behind the couch will score you a little extra coin. 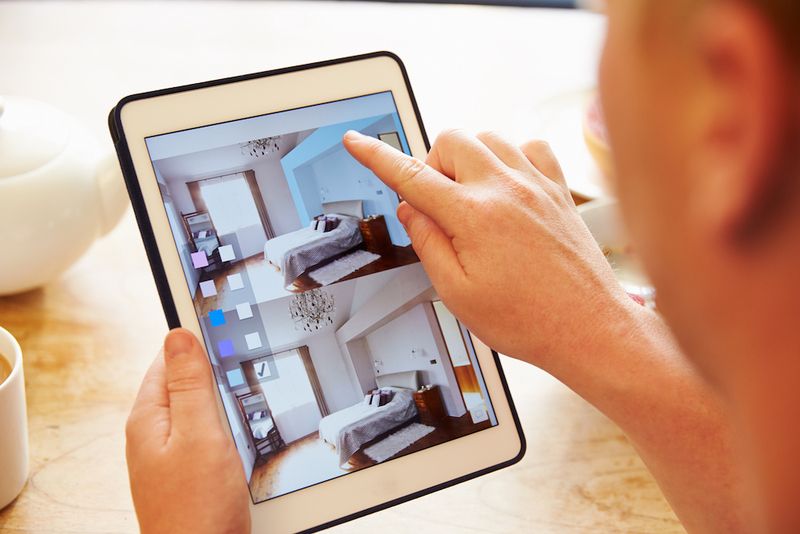 A lot of furniture stores are turning to 3D visualisation software to help customers see how something will look before buying. Now, if you’re not planning on buying something as you rearrange your living room, that’s just fine. You don’t have to pay to use the tool. Go online and search for an interior design visualisation tool and mess around with different furniture placement and other design changes. Try to choose furniture items that are close to what you already have. Once you find something you like, you can start moving things around. You can even save ‘rooms’ to show family and friends to get their opinions on your designs. And then, guess what, you just leave the website! No purchase required. This saves a lot of time and muscle as opposed to having to try the shelf in each corner before deciding where it looks best. If you like a few different options, save them for the next rearrangement when the time comes to switch things up again. If it’s been years since your couches have moved, rearranging your living room may not be that cut and dry. Shift that couch a few feet, and you’ll see pristine carpet underneath that just makes the worn carpet look even worse. You may even get so frustrated with what you find rearranging that what started out as a simple weekend project ends up costing you a lot of money fixing things. Even where things move and how it will impact the room need to be considered. Does the way the chairs are positioned encourage people to only walk one way in and out of the living room? Think about what that will do to the lifespan of your carpet. 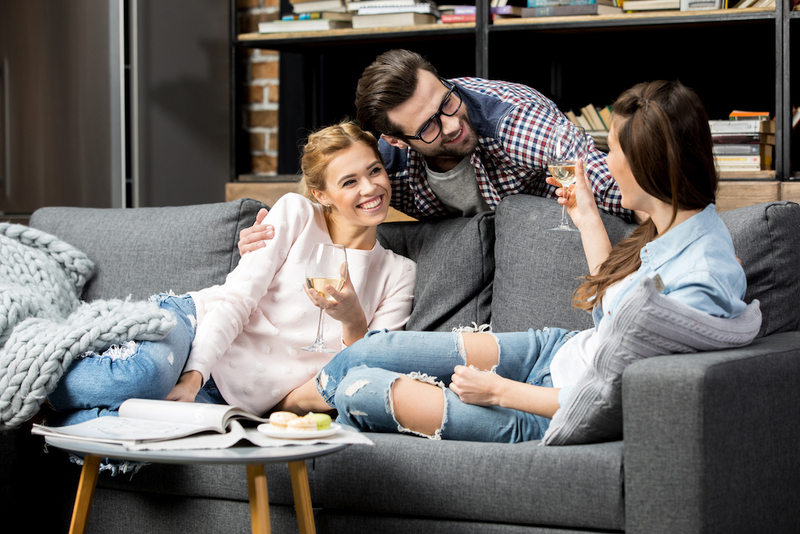 If you see people sitting on the same side of a sofa every time, they’re in the living room; it’s going to wear out your couch pretty quickly. 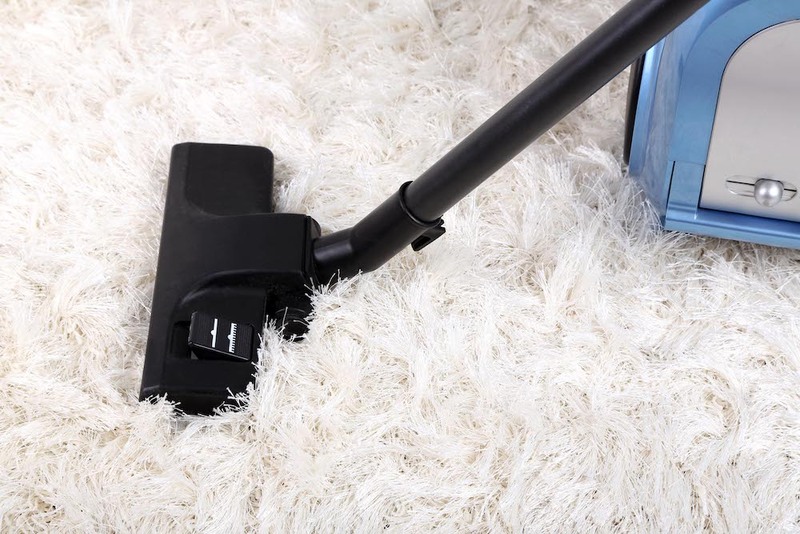 How you arrange furniture in the room will affect the way its able to be cleaned and properly maintained. You don’t want expensive or cherished items to get neglected because they’re in hard to reach spots. So, there you have it, some important things to run through your mind before rearranging the living room that will make it feel brand new. You don’t have to remodel a home to update things. A simple repositioning of what you already have could make a living room that no one uses the literal and figurative centre of your home. Previous Previous post: Did you know that we have 3 extending console tables?